This page has been arranged by date instead of location. It may be useful in planning your vacation if you are traveling a certain time of year and looking for an event. Click on the month (below) to see events during that time, or simply scroll down to view all. Then, click on Festival Logo to visit the Festival's Official Site. Please visit the festival web-site for the most up-to-date information. ​Download of you favorite stars or discover some new music. Use the iTunes search to find all you need. The four-day music festival features over 225 performances in more than 25 venues ranging from intimate listening rooms to spacious outdoor amphitheaters amid a backdrop of brilliant white sand beaches, turquoise waters and stunning architecture. Net proceeds from the 30A SONGWRITERS FESTIVAL benefit the CAA and help it to fulfill its mission to advance the arts throughout Walton County. ​Since the Houston Livestock Show and Rodeo was established, it has made an impressive footprint on the livestock and entertainment industries and in the sport of rodeo. It also has played a notable role in enhancing the lives of thousands of young people in the state of Texas. The many milestones celebrated throughout the years have all contributed to Houston's most popular event. The star entertainers begin performing after the last rodeo event is completed each evening and the stage is set. Actual start times for the concert can vary day to day due to the varying number of rodeo competitors and other production elements. ​Each spring, the Florida Strawberry Festival® in Plant City rolls out the red carpet to welcome visitors from throughout the Sunshine State and the world. Guests come from near and far to enjoy exhibits of agriculture, commerce, industry, livestock, fine arts, horticulture, and crafts. The Florida Strawberry Festival represents a piece of Americana, a time in American history when fairs and festivals brought communities together through celebrations of their harvests. It has continued to grow in popularity year after year through the preservation of this heritage. 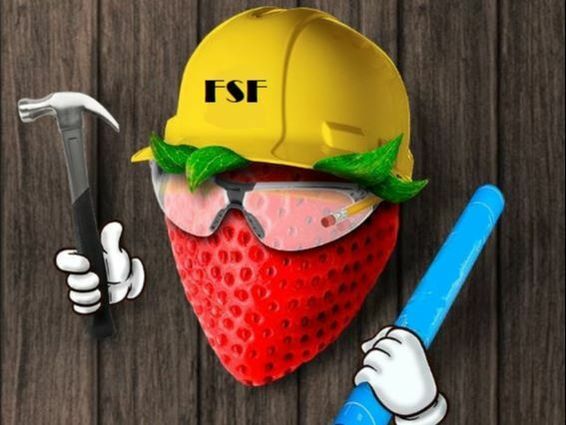 Central to its focus, the Festival continues to preserve and enhance the agricultural and historical legacy of the Florida strawberry. ​​Days – 3 NightsRunaway Country Music Festival will again host the largest gathering of country music stars in Florida. Choose from single day or weekend ticket packages. World-class entertainment, dining, shopping, friends, family and fun! The kick-off event to the Music Festival Season Florida in March, never sounding so good! Tin Pan South is the world's largest songwriters-only festival that focuses on the songwriters and his (or her) writing. The festival boasts 300+ songwriters, produces 90+ shows, over 5 nights, in 10 different venues throughout Nashville. Tin Pan South is produced by and benefits the Nashville Songwriters Association International. In October 1967, forty-two songwriters got together and formed the Nashville Songwriters Association, because they knew their profession needed a voice. Today, NSAI is the largest not-for-profit member trade association for songwriters in the world. In 1993, a handful of songwriters and the staff at NSAI produced the first Tin Pan South Songwriters Festival. Now, Tin Pan South embodies the spirit of the songwriting community. ​Held on the white sands of Fort Lauderdale Beach Park in a beautiful Oceanside setting, Tortuga Music Festival is a 3-day, multi-stage music festival featuring some of the biggest names in country, rock and roots music. Held every year in conjunction with the ACM Awards and benefitting ACM Lifting Lives®. ACM Lifting Lives is the charitable arm of the Academy of Country Music dedicated to improving lives through the power of music. Through partnerships with artists and strong ties in the music industry, ACM Lifting Lives develops and funds music-related therapy and education programs, and serves members of the community who face unexpected hardships through its Diane Holcomb Emergency Relief Fund. Generous donations and support of artists and fans enables ACM Lifting Lives to fund everything from disaster relief and helping communities in need, to music education in schools and music camps for those with disabilities. For more information, please visit www.ACMLiftingLives.org. Multiple Artists appearing at multiple venues..
Country Thunder is the premier Country Music Festival to roll into southwest Wisconsin and Arizona for over 20 years. Country Thunder performers have included huge country artists such as Miranda Lambert, Toby Keith, Jason Aldean, Big & Rich, and Blake Shelton, Luke Bryan, Dierks Bentley and Jake Owen only to name a few. ​The Stagecoach Festival is an outdoor country music festival located in Indio, CA. ​It first took place in 2007. Stagecoach took place for the first time in 2007. Put on at the same venue, also by Goldenvoice, Stagecoach is seen as a "cousin" of Coachella. In 2012, the festival's 55,000 attendees marked its first sell-out crowd. Notable performers have included Brad Paisley, Jason Aldean, Kenny Chesney, Brooks and Dunn, Toby Keith, Miranda Lambert, Blake Shelton, Sugarland, The Charlie Daniels Band, Alabama. George Strait, Alan Jackson, Willie Nelson, Eagles, Roger McGuinn, Rascal Flatts, Taylor Swift, Tim McGraw, Carrie Underwood, Keith Urban, Martina McBride, Don Williams, Jerry Lee Lewis, Shania Twain and Luke Bryan. Located just north of Live Oak, the Spirit of the Suwannee Music Park is a one-of-a-kind music park and premier campground nestled on the shady banks of the historic, tea-colored Suwannee River in North Florida. The Spirit of the Suwannee is proud to host a variety of events throughout the year. The Suwannee River Jam tradition includes two stages of performances over four days, thousands and thousands of excited fans holding reunions with family and friends, barbecues, golf cart parades, hiking, jam sessions all over the park around campfires into the early morning hours, canoe trips on the famous Suwannee River at the SOSMP, bicycling, trying out all the festival foods, shopping the vendors and Arts and Crafts Village’s quaint stores and visiting the SOS Café and Restaurant where the walls are hand-painted in rustic Suwannee River scenes. During the Jam, fans come from near and far to hear and see country artists, get their photos taken with their favorite artist during fan club meet and greets while making new friends and jamming to the sounds of America’s best country music artists. The fun is indescribable, the experience can be life-changing and the memories…well, the memories last a lifetime and are re-visited often. Weddings are not uncommon as a result of two people meeting at the Jam and falling in love…and the chapel is always ready over on Rees Lake so the happy couple can tie the knot! Shucks, the SOSMP even has someone who can perform the ceremony at a moment’s notice! Just be sure you’ve got the license in advance! 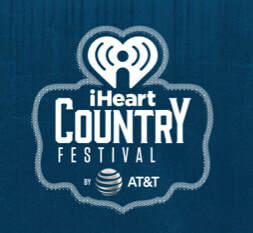 The iHeartCountry Festival is an annual music event by iHeartRadio that celebrates all things Country with performances by the genre's biggest superstars at the Frank Erwin Center in Austin, Texas. The iHeartCountry Festival, A Music Experience by AT&T first aired on the AT&T AUDIENCE Network on May 19, 2016 via DIRECTV Channel 239 or U-verse Channel 1114. The star-studded event was streamed live on iHeartRadio.com/WatchATT and was broadcast nationwide on iHeartMedia's Country radio stations across the U.S.
​The Key West Songwriters Festival is the largest festival of its kind in the world. Since 1997 BMI has been a charter sponsor of the festival and has helped it grow into both a tourist attraction and favorite of island locals. The festival revolves around five days and nights of more than 20 free shows, staged at an array of the island's most popular drinking holes and hot spots. Diverse lineups featuring more than 100 top songwriters deliver rare, "Key West-only" moments. Don't miss NW Georgias premiere music festival! The Rome River will be held at Ridge Ferry Park in Rome, GA.
Rome River Jam we will allow RV camping on Saturday night. No tent camping is allowed. Visit Website for information on Camping and other add-ons. ​Tree Town Festival has quickly made its mark as the Midwest’s premiere country music destination festival. ​Add-ons, Camping and Parking information available on Festival Website. Also called “The Great American Music Fest at Daytona,” the Country 500 festival will feature the biggest stars in country music spread over three days and nights, programmed on multiple performance stages—specially designed and built for the festival. Country 500 will take place on the infield of the world-famous Daytona International Speedway, a historic first mega-music festival inside the hallowed grounds of one of the most iconic motorsports venues in America. Just as it is for the great races at the Speedway, Country 500 will allow fans to actually camp out in the infield, literally inside the festival. A full-range of camping opportunities is available for virtually any budget, from pitching a tent to deluxe RV locations. Fans at the festival will also have the opportunity to get up close and personal with some of their favorite country stars at artist meet-and-greets located throughout pit road and the garages. Numerous other features—a select festival menu sold from food booths and food trucks; carnival rides; arcade games; cooling water elements; country-and-western merchandise; fireworks; and more—will all be a part of the festival, as Country 500 transforms racing’s greatest venue into a festival-goer’s dream. See Festival web-site for package details and camping information. 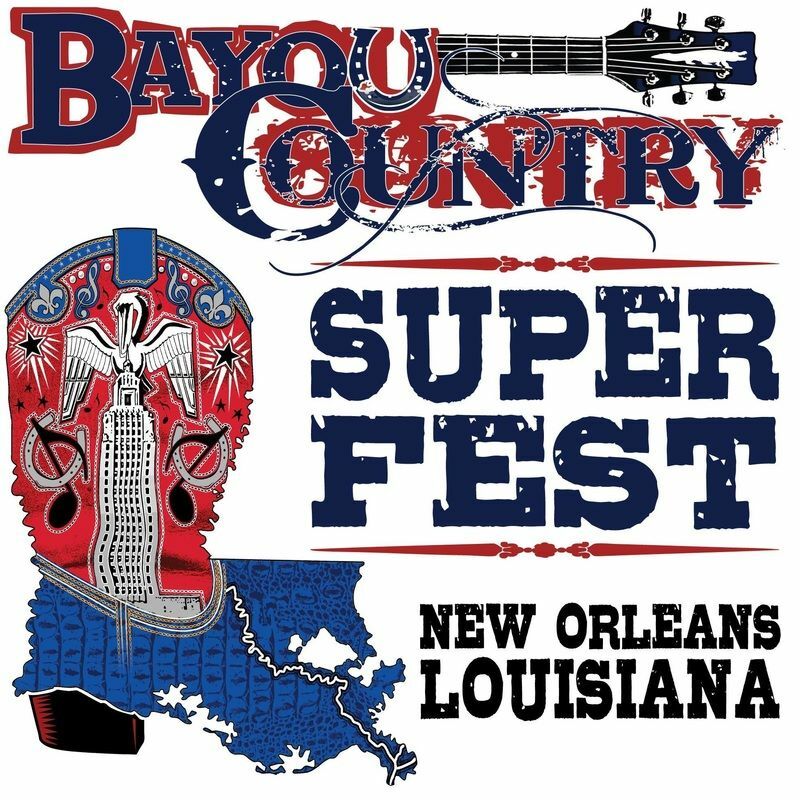 ​The Bayou Country Superfest is a music festival that has been held each Memorial Day weekend since 2010. Originally held at the Tiger Stadium (LSU) in Baton Rouge, Louisiana it has now been scheduled to take place at the Mercedes-Benz Superdome in New Orleans and nearby Champions Square . Since debuting on May 29, 2010, Bayou Country Superfest has brought together the biggest stars in country music for a three-day celebration. The festival has included country artists such as Kenny Chesney, Keith Urban, Taylor Swift, Carrie Underwood, Miranda Lambert, Brooks & Dunn, Sugarland, Zac Brown Band, Tim McGraw, Luke Bryan, Lady Antebellum, Reba McEntire, George Strait, Jason Aldean, and Blake Shelton. 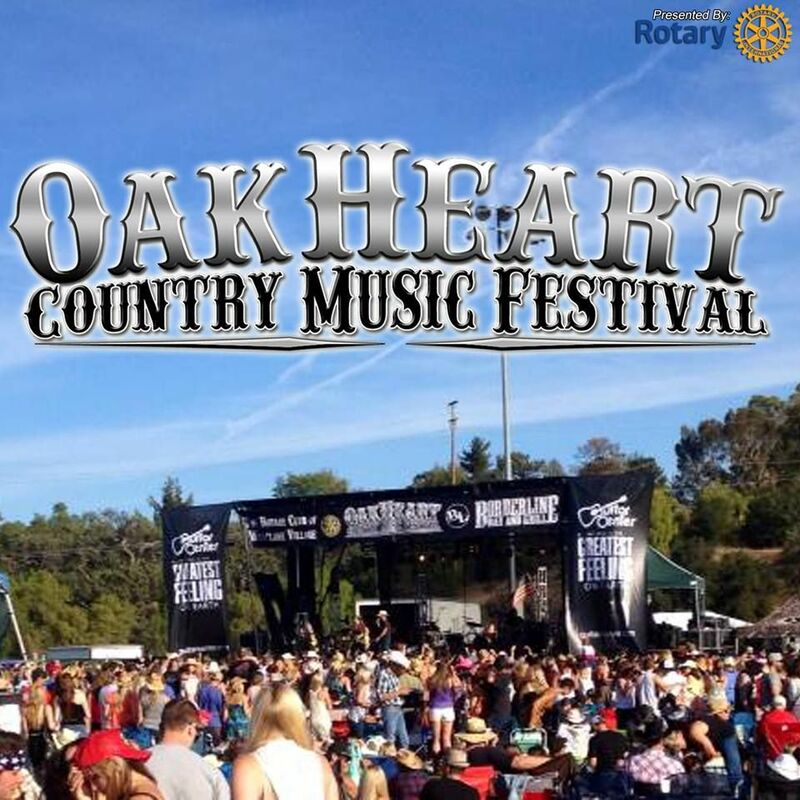 ​Ventura County' Largest Country Music Festival: a Charity event presented by The Rotary Club of Westlake Village. Each year the Festival features 2 stages with 10 or more local and National Country Artists. OakHeart’s goal is to raise funds during the event, as well as corporate sponsorships. ​April 27, 2011 was a day nobody in this area will ever forget. Tornadoes ripped across our great state and took precious lives and ripped apart everything familiar. Since then, our area has grown together and brought out the best in all of us. Originally intended to be a one-year celebration of recovery from that horrific day, Rock the South has continued to expand to become a massive celebration of this area and what it has to offer. Since the first Rock the South in 2012, Rock the South has continued to be an important community partner giving back over $200,000 to local charities including The Link, Alabama Forever, Children’s Hospital of Alabama and many more. Stars such as Dierks Bentley, Brantley Gilbert, Lynyrd Skynyrd, Little Big Town, Alan Jackson, Tyler Farr, Travis Tritt, and many more have all partied with our fans in Cullman. ​This tribute to native son Hank Williams includes country music, arts, crafts and food. The festival is held on the grounds of Hank's childhood home. In addition to the great entertainment, the includes Arts & Crafts as well as a food court. ​Tickets are sold at the gate. No advance purchase is needed. The event is general admission. There are no reserved seats. Hampton Roads, VA is home of the largest military bases in the USA. Virginia Beach, the largest resort city on the east coast is hosting The Patriotic Festival—A Military Celebration to honor our armed forces personnel and their families. PATRIOTIC FESTIVAL celebrates THE MILITARY at The Virginia Beach Oceanfront for three days of National Touring Artists Concerts, Military Expos and Displays. The Concerts will be at 5th Street and Oceanfront Friday and Saturday Evening and Sunday Afternoon. The USO Military Expo Village at 17th Street & Oceanfront will showcase the mission, equipment and personnel through exhibits, demonstrations and displays on Friday, Saturday and Sunday from 15th Street to 20th Street. All branches of the military: Army, Navy, Air Force, Marines and Coast Guard will be participating. Military activities ,exhibits and mobile tours will include LCAC (Landing Craft Air Cushion Vehicle / Hovercraft), The Vietnam Veterans Memorial Wall, Marines, Air Force and Washington National Mobile Tours, Ride 2 Recovery Memorial Challenge, Entertainment by US Fleet Band , USO Show Troop and Marines Silent Drill Platoon, and much more. Be a part of this salute to our troops, serving now and in the past. A salute and celebration of our military! Remember the men and women of the United States Military and Armed Forces for their heroism and the sacrifices they make for Americans. America’s most popular artists have performed at the Patriotic Festival. 3 day oceanfront country music fest- and 30+ of countrys hottest artists! ​Carolina Country Music Fest (CCMF), the Southeast’s premier outdoor country music fest, is located on the shores of Myrtle Beach. A unique blend of today’s country headliners and up-and-comers, CCMF is host to the industry’s biggest stars. With the combination of country music and the scenic Myrtle Beach backdrop, this family-friendly, three-day fest is a summer vacation destination. has appeared at the most iconic, unique music festival in the world. Held every June, in Music City USA, Nashville. See our entire section dedicated specifically to the CMA Music Festival. ​With so many venues and so many artists, we have a page dedicated specifically to the 2017 CMA Music Festival. You can use the menu to navigate to News, Fan Club Parties and Events. Centrally located just west of the Twin Cities, Winstock is one of the Upper Midwest’s premier outdoor country music and camping festivals organized entirely by volunteers, with all proceeds from this event used to help fund private education for students from Winsted and surrounding communities. Taste of Country Music Festival is the largest country music & camping festival in the northeastern United States, featuring top country artists at Hunter Mountain Resort in New York’s beautiful Catskills. Grab your boots, your camping gear and all your friends and come join us for the biggest party of the summer! The Taste of Country Festival also includes a wide range of food, drinks and attractions for the country music fan and is destined to become one of the top country music events in the U.S. Celebrating over 35 years as Chattanooga’s premier event. The annual festival goes on for eight nights and ranks in the top 10% of all American festivals. There’s a wide variety of artists covering almost every music genre that perform at the festival. The 5 stages are set along the backdrop of the Tennessee River at Ross’s Landing, also known as the Scenic City’s front porch. About one hundred acts perform each year on the multiple stages. Headline performers are featured on the Coca-Cola Stage, a barge which has been converted into a full concert stage. The barge floats just off shore against a large collection of amphitheater seats built into a hillside at the water’s edge. Major companies, such as Chevrolet, Coca-Cola, Unum, and Budweiser and Tennessee Valley Credit Union sponsor the other stages throughout the festival. The Riverbend Festival, or called Riverbend (named for the bend in the Tennessee River) by locals, was started in June 1982 as a five night festival in Chattanooga, Tennessee. We are now celebrating over 35 years as Chattanooga’s premier event. The annual festival now goes on for eight nights and ranks in the top 10% of all American festivals. The International Festivals and Events Association has presented the festival with several awards, including 7 in 2015. Attendance continues to grow for the festival and now some individual nights attract 90,000 people, with 350,000 people attending over the 8 day period. There’s a wide variety of performers covering almost every music genre that perform at the festival. The 5 stages set along the backdrop of the Tennessee River at Ross’s Landing, also known as the Scenic City’s front porch. About one hundred acts perform each year on the multiple stages. Headline performers are featured on the Coca-Cola Stage, a barge which has been converted into a full concert stage. The barge floats just off shore against a large collection of amphitheater seats built into a hillside at the water’s edge. Major companies, such as Chevrolet, Unum, Coca-Cola, and Budweiser and Tennessee Valley Credit Union sponsor the other stages throughout the festival. ​ The Buckeye Country Superfest draws fans from across the country to Columbus for two days and nights of country music and fun. Fans should plan to arrive early for the free Buckeye Country Superfest Fan Fest located outside Ohio Stadium, featuring a country music stage, artist meet and greets, festive food, sponsor activations, and much more. Featuring music, food and fun, Fan Fest will take place each day of Buckeye Country Superfest outside Ohio Stadium. Tailgating in the great tradition of OSU Football game-day festivities including food and beverage options. The Bud Light Stage, a music performance stage sponsored by Bud Light, The Official Beer Sponsor of Buckeye Country Superfest. Enjoy a cold Budweiser Draught Beer and the upstairs view from the Budweiser Macro Bar. A popular Artist Meet & Greet area, offering fans a chance to meet various Buckeye Country Superfest performers. The Central Ohio Chevy Dealers will have four vehicles on display where fans can learn more about the features and benefits of the Chevrolet Cruze, Malibu, Silverado and the All-New 2018 Chevrolet Equinox. Fans can enter the Win a Chevy Sweepstakes for a chance to win a brand new Chevrolet awarded at the end of the year. Donatos Pizza will be vending their delicious pizza! Guests can come by the Mars activation area to #saythankswithm to thank the troops by writing a postcard and recording a video. Mars is trying to reach 1 million thank yous this summer. On air personalities from WCOL-FM conducting games and giving away prizes. Buckeye Cruise for Cancer will offer fans an opportunity to win big in their 50/50 Raffle. ​Headwaters Country Jam was created to bring live country music in a festival atmosphere to Montana and the northwest. The festival was conceived in late 2007, and the first Jam was held in June 2008. The festival is held at the venue known as The Bridge, near Three Forks. The Bridge is comprised of 159 acres and is the final resting ground for the historic Sappington Bridge that once spanned the Jefferson River. Sixty acres are used for the state-certified campground, which holds 1,200 sites, approximately 20′ x 40′. Within the venue is a 12-acre arena where all the magic happens. Live music from national and local acts plays all day and into the night. This three-day festival has brought in high caliber stars in the past including Eric Church, Montgomery Gentry, The Charlie Daniels Band, Eli Young Band, Dustin Lynch, Tracy Lawrence, Sammy Kershaw, The Bellamy Brothers, Pat Green, Blackhawk, Lonestar, Colin Raye, Emerson Drive, John Anderson, Joe Diffie, Mark Chesnutt, Mark Wills, Deana Carter, Little Texas and many more. Besides the live music, festival-goers can enjoy horse shoe tournaments, dance contests, mechanical bull riding as well as food and merchandise vendors. Located right off 69 Highway, perched in the beautiful rolling hills of southern Miami County and among a 4,600 acre wildlife preserve – including the 2,600 acre La Cygne reservoir, Tumbleweed’s festival grounds are among the most spectacular venues in the United States. After you park, you’ll be greeted with the option to take a horse-drawn wagon to the campgrounds or hop a ride on a bicycle-powered taxicab right to the main stage area. ​Country Jam is a four-day country music festival featuring 30+ bands on three stages, surrounded by Colorado’s awe-inspiring red rock landscape. Since 1963, Burlington Steamboat Days has played host to some of the finest entertainers in the U.S. Burlington Steamboat Days is the most prominent annual festival in Burlington and the surrounding area entertaining a widely diverse audience in the Greater Burlington community for the last 50 years. We have seen entertainers such as Louie Armstrong in 1964 (our first big entertainer on stage) and Buck Owen in 1966 rocking the early days. We broke a record for the worlds longest conga line with Miami Sound Machine in 1986, we did “The Twist” with Chubby Checker in 1990, “Riding the Storm Out” with REO Speedwagon in 1993 and singing “Daydream Believer” while the Monkees rocked the stage. Recent acts within the last few years include Poison, Sugarland, ZZ Top, 3 Doors Down, Zac Brown Band, Lady Antebellum, Alice Cooper, Twisted Sister, Luke Bryan, Blake Shelton and many, many others! We also have a carnival midway with over 25 rides presented and many carnival games you can step up and play. ​Welcome to Country Summer — Northern California’s biggest country music festival and Sonoma County’s biggest party. In 2016, Country Summer attracted more than 27,000 fans from 35 states and four foreign countries. Recognized by Nash Country Weekly, Taste of Country, Wide Open Country and Country Living Magazine, Country Summer is today established as a renowned country music destination event. Since its inauguration in 2014, Country Summer has been bigger and better every year with a lineup of country music superstars and big name entertainers. The 5-acre Carnival field at the Sonoma County Fairgrounds in beautiful Santa Rosa sets the scene with spectacular video walls and state-of-the-art staging and sound. Between headliners on the Santa Rosa Stage, a secondary stage features musicians and groups from the local area. While performances by country music artists are the main attraction, great festivals are more than great music. Country Summer is a big country music celebration with Western-themed attractions, a variety of culinary delights and an array of libations from Bud Light for beer drinkers to a wide selection of wine and spirits to please every palate. ​The Country Stampede Music Festival is an outdoor country music and camping festival held at Tuttle Creek Lake State Park, north of Manhattan. The festival has been held annually since 1996, on the last weekend in June. It is the largest annual music festival in Kansas. The festival began as a two-day weekend event and has expanded to a four-day format, lasting from Thursday through Sunday. Lakes Jam is an annual event that unites rock and country music fans from all walks of life and brings them to the beautiful Brainerd Lakes area. Located in lakes country on the grounds of Brainerd International Raceway, the area boasts beautiful scenery and allows Lakes Jam to offer optimal camping and weekend fun. artists every, year. Each year will be different, fresh and exciting! The fastest growing camping Country Music Festival in the country!​ The Country Fest is a 3-day music festival established for fans to experience country music in a festival setting with friends, good times and a great price. ​Founded over 30 years ago in stunning Central Wisconsin, Country Fest in Cadott WI is the ultimate summer destination for the best outdoor Country Music Festival experience that brings fans back year after year. Country Fest is the largest 4-Day Country Music & Camping Event in the US. Legendary names in Country Music have graced this sacred Main Stage including: George Strait, Taylor Swift, Blake Shelton, Miranda Lambert, Carrie Underwood, The Highwaymen including – Johnny Cash, Willie Nelson, Kris Kristofferson & Waylon Jennings - George Jones, Reba McEntire, Jason Aldean, Luke Bryan, Eric Church, Brad Paisley, and so many more. Celebrating the best of all things Country, Country Fest'ers enjoy four days of music and entertainment, RFID wristbands, cashless option in the concert grounds, delicious food, interactive exhibits, exciting activations and the largest campground in WI with more than 7,000 campsites all within easy walking distance of the Concert Grounds. For non-campers, nearby hotels also offer the option of convenient daily shuttle service. The natural Amphitheater Concert Grounds feature: 40+ Bands, 1 Massive Permanent Main Stage and 4 Permanent Side Stages and more than 23 miles of permanent roads. VIP, Reserved or General Admission ticket packages are available at this Venue along with Camping & Morrie’s Fan Pit Passes for all four days, or for each show at a reasonable cost to get you close to your favorite Artists! Plus a Photo Line for General Admission fans. 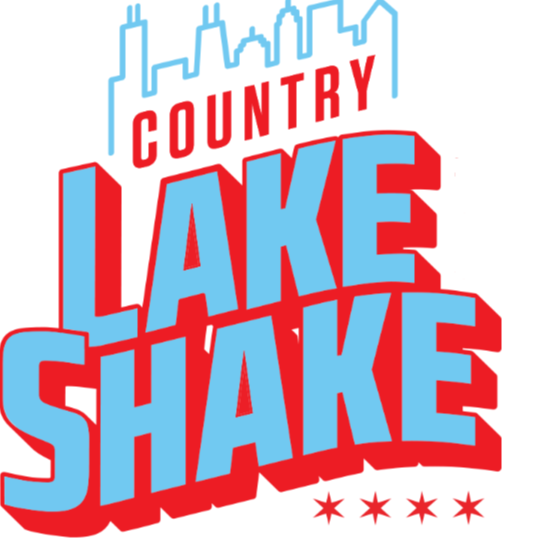 ​Chicago's big 3-day country music festival downtown at FirstMerit Bank Pavilion at Northerly Island! Featuring some of today’s biggest country music artists. Who knew that from our humble beginnings in 1968, Summerfest would become a festival that welcomes over 850,000 music fans annually. Through our evolution, we’ve showcased musical greats Bo Diddley, Whitney Houston, Metallica, Tom Petty, Katy Perry, George Straight, Lady Gaga, Bon Jovi, Carrie Underwood, Foo Fighters and hundreds more. Well, we’re celebrating our 50th Summerfest in 2017 and the 50th isn’t only a celebration of our history as one of the longest running music festivals in the world. It’s about what this festival continues to offer to our community of beloved fans decade after decade. Maybe you saw your first concert here. Or, perhaps you share an annual tradition with your best friend of trying the most unique new food item. Maybe it's just the exhilaration of the live music experience that keeps you coming back for more. Whatever you’re favorite Summerfest memory is, there won't be a better time to relive it, or make a few more, than at our 50th celebration in 2017. It’s going to be a big party and you’re invited. In fact, we can’t do it without you! We’re really excited to celebrate with you and we’ve put together a photo gallery that highlight some of the best live music moments of your favorite festival since 1968. Stay connected to Summerfest for major announcements in the coming weeks, special holiday and 50th Summerfest ticket offerings and for information about various ways you can celebrate with us, share your own memories and personal experiences and get ready for what is sure to be the best festival yet. Jam in the Valley is a country music concert and fireworks celebration of Independence Day. Billed as a family style event, Jam in the Valley has also become known as a pretty wild party. With the beautiful hills of Wyoming County as a backdrop, Jam in the Valley takes place at Buffalo Hill Village Campgrounds, a 30 minute drive from downtown Buffalo, NY. Camping, concerts and great fireworks make Jam in the Valley one of the best summer events in the country. Rustic style camping (no water or electric hook-ups) is available. Concerts take place Thursday through Saturday nights (usually the weekend closest to the 4th of July). Children 10 and under are admitted to concerts for free. Our fireworks are truly a unique experience and take place on Saturday night only. A portion of the proceeds from this event are donated to designated local volunteer fire departments and other charitable organizations. Country Concert is the Midwest’s Premier Music and Camping Festival with Superstar Entertainment, Great Camping, and Fun Loving People. It takes place on a 500 acre Facility near Fort Loramie, Ohio. The event started in 1981. It has a world class permanent stage in a natural amphitheater setting with giant video screens. Country Concert has been filmed for television and for artists’ music videos. There are lots of food, beverage, souvenir, and other types of vendors in the show area. You can bring coolers including alcohol (no glass). There is a variety of Reserved Seat and General Admission options. Many types of camp sites are also available which are close to the show area, including sites with electric and water hookups. The Common Ground Music Festival is a not for profit 501 c3 corporation, Center Park Productions. Center Park Productions was established in 2000 by the Lansing Entertainment & Public Facilities Authority (LEPFA) in a partnership with the conceptual creator of the festival, Meridian Entertainment Group (MEG). As a conceptual creator and producer of the festival, MEG continues to produce and provide executive management of the festival. Together we remain strongly committed to improving our community and its quality of life. We have raised and contributed over $500,000+ for numerous non-profit, educational, social and sports organizations over the years. The festival presents an impressive array of headline, national-level entertainment each night on multiple stages. Grammy Award Winners, Rock & Roll Hall of Fame members, and top-level, national and regional music performers of many genres, including contemporary and classic rock, alternative, country, hip hop, R&B and more have entertained our guests. With an attractive, intimate venue, state of the art production and a comprehensive array of patron amenities, the festival continues as the premier outdoor music event of the summer in the mid-Michigan region. ​Since 1977, over 100,000 fans each year have flocked to the rolling hills of eastern Ohio to take part in the longest running and most popular country music festival in America, Jamboree In The Hills. 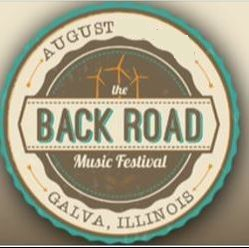 This must see 4-Day outdoor festival takes places in Belmont County, Ohio, just a little west of Wheeling, WV. Year after year, thousands make the annual pilgrimage to southern Ohio and turn the peaceful acreage in Morristown, OH into the “Country Music Capital”. The 4-day party actually starts on the prior Monday with wild contests and activities in the ultimate on-site campground where more than 5000 campers arrive early. The 25 hours of live music features country music legends, current chart toppers and rising stars. Fans comes from hundreds of miles around – from places in Ohio, West Virginia, Pennsylvania, Maryland, Virginia, Michigan, New Your, Indiana, Kentucky, New Jersey and Canada- just to mention a few! The Jamboree fans are the greatest – they are really the other half of the show. That’s why Jamboree In The Hills just isn’t another concert…..It’s The Ultimate Country Music Experience! Jamboree In The Hills is the Two-Time Winner of the Country Music Associations Festival, Fair or Special Event of the Year Award. The Hodag Country Festival has been proud to host some of the best country music artists since its inception in 1978. ​Originally known as the Lakefront Jazz & Blues Festival, the Prior Lake Rotary Club’s Lakefront Music Fest was established in 2010 and has grown into one of the largest outdoor music festivals in the metro area of the Twin Cities. In 2012, the Rotary Club expanded the festival to two nights of music: one night devoted to country; the other to classic rock. Since then, the Lakefront Music Fest has seen its popularity and attendance steadily increase each year. Proceeds benefit the Prior Lake Rotary Foundation. The purpose of the Prior Lake Rotary Foundation is to support educational, humanitarian and environmental activities in the Prior Lake community, nationally, and worldwide. Proceeds from the event will also be shared with the following non-profit partners: YMCA of the Greater Twin Cities, and Prior Lake-Savage Area Schools: Laker Athletic Booster Club (LABC) and Patrons of the Arts & Activities (PAA). while listening to many of country music’s biggest names. ​Country Jam USA welcomes you to Eau Claire, Wisconsin! We appreciate your interest in our outdoor country music festival and look forward to helping you create great memories when you join us. Camping under the stars meets camping near the stars. We even offer an amazing VIP Experience—free beer, free eats, free booze, best seats. It’s the experience of a lifetime! ​​Country Thunder is the premier Country Music Festival to roll into southwest Wisconsin and Arizona for the past 23 years. Country Thunder performers have included huge country artists such as Miranda Lambert, Toby Keith, Jason Aldean, Big & Rich, and Blake Shelton, Luke Bryan, Dierks Bentley and Jake Owen only to name a few. ​The Faster Horses Festival at Michigan International Speedway, "Michigan's Largest Campground." It's 3 days of Incredible Country Music, 4 nights of Camping, and it's definitely The Party of the Summer! The event features nightly concerts by popular music and comedy acts, a midway, a fair with rides, games, and food vendors, wild west shows featuring Western riding, an Indian village, and a large PRCA/PBR nationally sanctioned rodeo. A common moniker for the event is "The Daddy of 'em All", based on its long history and the fact that the rodeo is billed as the largest such event in the world. Since 1897, Cheyenne has celebrated its Old West roots with this eye-popping festival. The centerpiece of this Western celebration is the world’s largest outdoor rodeo, which draws top professionals who compete for more than $1 million in cash and prizes. Complementing the daily rodeo action are behind-the-chutes tours, trick riding and a wild-horse race. A Native American Village, an old frontier town, a saloon, dancing, a chuck wagon cook-off, pancake breakfasts and an art show carry through the frontier theme. Rounding out the program are a carnival midway, an air show, top-name entertainment, professional bull riding shows and several parades that include antique carriages and automobiles. Cheyenne Frontier Days takes place each summer during the last full week in July. Welcome to Country Crossings All aboard! It's full steam ahead for the Country Crossings Music Festival in Central Point, Oregon! World class country entertainment comes to the Jackson County Expo and won't leave til your toes are tappin' and the memories are stackin' up! Country Crossings will become a community all its own over four days this summer. As trailers, RVs and campers begin showing up, campers will make their spacious sites into a home-away-from-home. It's no surprise to see swimming pools, billiard tables and games of horseshoes at our other Festivals. Families and friends can enjoy each other all weekend long. It's unique, affordable family fun, and, yes, so much more than just a country music festival... it's making memories that many will enjoy for years to come. Guthrie's River Ruckus is a Two Day Event held the weekend of the last full week of July. The Ruckus started back in 2009 as a way to make better use of the new amphitheater at the Guthrie County Fairgrounds. Believe it or not, our first year we hosted Chris Young and Lee Brice as headliners before they hit the big time, and just look at them now! We wouldn't wager that we had anything to do with that, however the thought has crossed our minds. Throughout the years we've had headliners like Chris Young, Lee Brice, Brantley Gilbert, Eric Church, Hank Williams Jr., Big & Rich, Thomas Rhett, Rodney Atkins, and Toby Keith. Each one of them has put on a great show, and we hope everyone's loved it. As with every adventure, the longer you've been in it, the more experience you gain. We learn something new each year that we get the chance to improve on, and this past show was no different. We take pride in growing year after year and being a part of something that will continue to be a staple festival in west central Iowa for years to come. As we keep learning, expect more improvements as we try to bring you the best music festival experience possible. Good things come in threes! The Willamette Country Music Concert family has grown again and is happy to welcome the third—and better looking—sibling to the family. Meet the Mountain Home Country Music Festival! The Mountain Home Country Music Festival venue is in Elmore County, just thirty minutes from Mountain Home, ID. This inviting weekend home is situated at the base of Sawtooth National Forest and the Sawtooth Range—a perfect location for 3 days of the best music Country has to offer, brought to you by Bi-Mart. Following in the tradition of our sister events—Mountain Home attendees can expect a star-studded lineup with 20+ great performances over 3 days! The Festival is planning for 20,000+ people with ample camping onsite. Organizers expect camping to sell fast and are alerting fans to make their reservations early. Get ready to get your country on like never before! It doesn't get any bigger than the Watershed Festival at The Gorge, though, where the annual weekend of country artists beloved by Honky-Tonkin', beer-swillin' fans sells out in the blink of an eye. Since WE Fest’s inception in 1983, it has been one of the leading country music festivals in the nation. Twice nominated for the Country Music Association’s prestigious Best Special Event award, WE Fest is widely regarded as one of the most outstanding events of its kind in the nation. WE Fest offices are located on the scenic Soo Pass Ranch, which also contains a natural amphitheater that accommodates up to 50,000 people, including 7,000 reserved seats, and 10 separate campgrounds with a total camping capacity of 35,000 people. WE Fest employs a year-round staff of professional sales, marketing and administrative staff. ​Thank you to all of you who have supported Country on the River for the past eight years. We have tremendous appreciation for everything you have done to make this event happen every single year. However, we regret to announce that the festival will not be returning in 2018. Instead, we’ll be taking a year off to look at improvements to make to the event. We hope to be back in 2019 bigger, better … and even more country. In the meantime, we would like to extend to you a special offer for our sister festival WE Fest. Stay tuned for more updates on Country on the River, and thank you so much for the love! ​Over 23 years in the making, the Oregon Jamboree is the Northwest’s premier country music festival. Nestled in the foothills of the scenic Cascade Mountains, the Oregon Jamboree is held on 20+ acre park-like setting that includes the historic Weddle Covered Bridge. The Jamboree offers a full festival atmosphere in the main venue and a more intimate concert experience on the second stage in Sankey Park. In addition to featured headline entertainment, this family-style event hosts RV and tent camping, food booths, beer & wine gardens, and a variety of other attractions. The festival draws attendees from all over the United States, and has hosted many international visitors as well. Over 800 festival volunteers contribute their efforts to ensure a safe and fun experience for all. 2 stages. 22 shows. 1 sweet weekend. The picturesque beauty of historic Sweet Home, OR sets a stunning backdrop for a star-studded weekend of music, camping, and family fun! ​In just a few short years the Willamette Country Music Festival has become one of the jewel concert and camping venues in the Pacific Northwest. Set on a gorgeous 300 acre property nestled along the Coburg foothills in Brownsville. Country music fans are treated to the one of the best lineups in the area. Founded by Dierks Bentley in 2018. 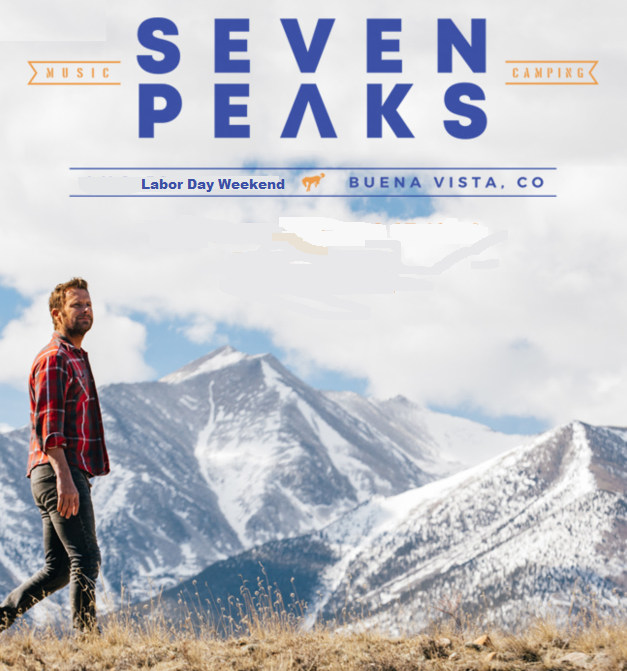 Seven Peaks Festival is located in the gorgeous mountain town of Buena Vista, Colorado and named after the seven mountaintops surrounding the grounds. ​Seven Peaks is more than a music festival. Adventures are the best way to experience even more of Colorado mountain life. With Adventure Hub, you could raft or kayak a river, race through the wilderness, or zip line down the mountain while the sun is high and return to jam out at the festival without missing a beat! Adventure Hub makes sure that all adventures are a convenient round trip journey to and from the festival by shuttle! ​Seven Peaks also offers a variety of camping options. Pepsi Gulf Coast Jam is located in one of Florida’s most beautiful beach locations. We have festivalgoers travel from all across the United States not only for the country music but for a beach vacation as well! Lodging packages will be available and will include accommodations as well as Preferred Lodging tickets (which are located in front of the General Admission section). The coolest music scene today.”– The New York Times. The event brings together fans and music industry professionals alike, offering six days of celebration through seminars, panels and networking opportunities by day and raw, intimate showcases each night. The Annual Americana Music Festival & Conference is the gathering thousands of artists, fans, and industry professionals from all over the world in Nashville, TN. Each year, the Americana Music Festival & Conference brings together legendary artists, the next generation of rising stars, fans, and industry professionals for six days of music and education. Our conference portion features numerous panels, seminars, exclusive day time performances, and much more, proudly providing Nashville's most educational music industry forum. This special event covers the interests and needs of artists, managers, labels, radio stations, publishers, agents, promoters, retailers, legal and business affairs executives, merchandisers and new media professionals – all enthusiastically attended and presented by music industry leaders. And FYI, you do not have to be a member of the Americana Music Association or in the music industry to purchase a conference registration and attend all the events. We encourage all music lovers to be apart of the conference experience. If you choose not to be a part of the entire AmericanaFest experience through a conference registration, then our festival wristband is the option for you. For five nights, AmericanaFest will feature 215+ live performances at 14 of Nashville's most prominent venues and much, much, more! However, wristbands do not guarantee entry if venue is at capacity. In the event of a line, conference registrants have priority access. If there is a must see band on your list we suggest arriving to the venue early. ​Ramble Jam began in 2011 when a new country music festival took over Farmington. The Dakota Country Fairgrounds hosted Ramble Jam, a one-day event. It has since expanded to two days. throughout the two-day event, this is sure to be a festival you don’t want to miss! If history is repeated – and it usually is each year at Ramble Jam – you will not be disappointed in Ramble Jam 2017! And buying your tickets early saves you money. So don't wait – take the plunge and get your tickets before the price goes up. See the chart below for all ticket pricing information. And don't forget to follow us on Facebook and Twitter for the latest updates. Pilgrimage will take place during the day, and offer a diverse yet renowned lineup of rock and roll, alt-country, bluegrass, jazz, indie, gospel and more. Performing on patina-clad stages reflecting the area’s aesthetic, many bands will “crank it down” and give a partly acoustic set specifically tailored to the day. Moreover, the fest will boast “Pilgri-mashups,” pairing artists together for special one-time collaborations on stage. The Little Pilgrims Stage will be more than a kids’ play area; it will feature a line-up of talented young musicians in their own right, to inspire and entertain kids and adults alike. The region’s best food and drink will be on display at the Kitchen and Sippin’ stages at scheduled times throughout the weekend, and carefully selected food and merchant vendors will be featured in the Bazaar. When performances wrap at 7:30pm each day, guests can conveniently head back into the heart of downtown Franklin, within walking distance from the Park at Harlinsdale, to imbibe the best of the town’s restaurants, shops, and great weekend lineup of nighttime shows. Ultimately, Pilgrimage Music & Cultural Festival invites folks of all ages on a journey to experience a myriad of musical styles, a bevy of food and beverages, and the rich regional spirit of Franklin, TN. Hoedown in the Holler is an annual outdoor country music festival held at Mandolin Farm in Flemingsburg, KY. We have 60 beautiful acres and 250 campsites with water & electric hookups + primitive camping! Hoedown is an outdoor, rain or shine event so you will be contending with Mother Nature and her various moods! On behalf of the entire Route 91 Harvest Family, we are completely devastated by the event that occurred last night. Our deepest sympathies go out to the injured and the deceased and their loved ones. Senseless violence has claimed the souls of our fans and we have little in the way of answers. The Las Cruces Country Music Festival has announced that it will be moving to October in 2018. The festival has been held in the spring since it began in 2013. “As everyone in Las Cruces knows, the weather in the spring can be a bit unpredictable,” said Jennifer Bales, Executive Director of Visit Las Cruces, who puts on the event. “With some of the things we have planned and performers we are looking to bring in, we need to ensure the best possible weather for the event”. Due to the increase of attendees over the life of the event, the festival will also be relocating from downtown Las Cruces to the ball fields off Hadley Avenue. The festival is also looking to expand hours and activities, putting it more in line with other country music festivals around the country. “We are working hard to create a festival atmosphere, and we feel holding the event on grass will make the event more enjoyable for everyone,” said Bales. 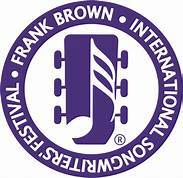 The annual Frank Brown International Songwriters’ Festival will feature more than 200 nationally acclaimed songwriters in venues along the Florida / Alabama Gulf Coast. The festival is an opportunity for seasoned and aspiring songwriters and musicians from all over the world to have their songs heard, and for the public to learn the stories behind the lyrics that only the song’s author can express. During this exciting 11 day festival, performers will be hosted in over two dozen venues from Downtown Pensacola and Perdido Key, Florida, into Orange Beach, Gulf Shores, Bon Secour and Silverhill, Alabama. Currently no information for festivals in December.